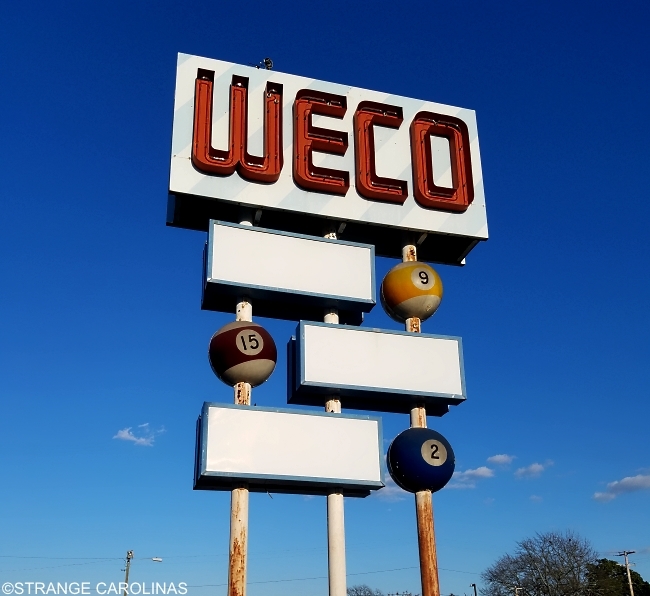 We don't much about this West Columbia sign. We think it might be from the '60s and at one point advertised a pool hall, diner, and thrift store (but not at the same time). If you know any details about this sign, please let us know!